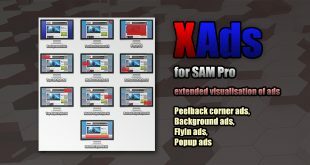 Published my new plugin SAM Pro (Free Edition). This plugin is a successor of the Simple Ads Manager plugin. At first glance it might seem that plugin SAM Pro (Free Edition) is a repetition of his ancestor, but it’s not. 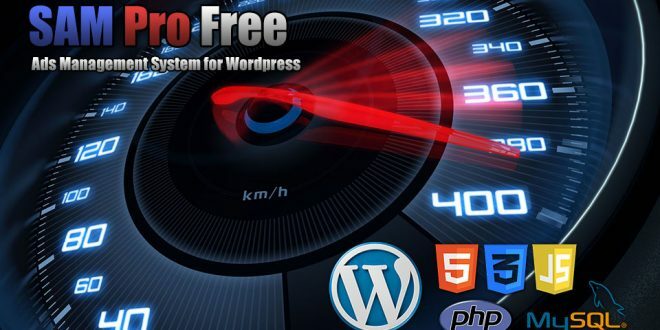 The new plugin uses a different data structure that allows to increase its performance. In addition, increased security measures from possible hacking attacks. Also solved the problem of statistics and counting clicks. New plugin is the replacement of the Simple Ads Manager. In other words, the development of Simple Ads Manager will not continue. I am not remove it from the repository only because there are a lot of servers running under PHP 5.2. SAM Pro requires PHP 5.3 and later. Documentation is available on the official website of the plugin. All information is presented in English. Translation using the Bing translation system is available by clicking the “translate” button at the top of the right sidebar. It’s possible to embed responsive ads with this plugin? This plugin not sets image sizes directly. If your theme is responsive, ads served by this plugin will also be responsive. First: Your work is amazing, thanks!!! Then, i need to ask you a question about moving from Simple Ads Manager to SAM Free. Is there any help or recomendation to migrate from one to the other. Now this plugin is partially deprecated. If your site works under PHP 5.3 or later version (include PHP 7.0) it is better to use SAM Pro (Free Edition). No additional recommendations. Just follow the instructions. and not the real link. To confirm the implementation of a link by a tool of an advertiser I need it to be also in the source code. I do not understand what you want. Try to write more specifically. What version of Simple Ads Manager you use? Hey. Issue on placement of advertising. Blocks are placed on the page and articles at the same time. How to make sure that the blocks were only in articles. ??? here is the link. Here so it turns out. Хочу чтобы баннеры отражались только в статьях (после материала) но этого достигнуть не возможно. так как баннер появляется и на страницах. и при попадании на страницу он отображается не понятно как. С БОКУ и не реагирует на выравнивание по середине. Самое интересное, что при постановки баннера в середину он стоит именно там и на страницу не попадает.